Owner and co-founder Ken Forkish brings his perfectionist tendencies to Ken's Artisan Pizza in Portland, Oregon. 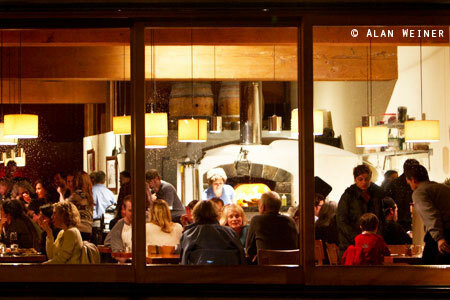 The wood-fired oven is so hot that the pies, with their thin, crispy crusts, cook in just minutes. Pizza toppings tend toward the minimalist, and include soppressata, anchovies and olives.